Employers will have to automatically enrol all employees to a pension scheme. 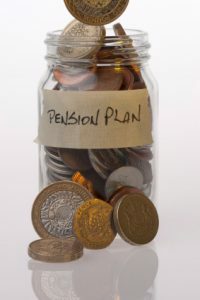 The employee will have the opportunity to opt out of the scheme however the automatic enrolment is expected to increase the number of people with pensions. There will be a 3 month “waiting period” where the employee doesn’t have to be enrolled in the scheme for up to 3 months after beginning employment, unless they request. This delay is to allow businesses some leeway to complete the appropriate paperwork. All employers will be required to contribute 3% of their employee’s salary to the pension scheme, on all salaries over £7,475 for employees aged between 22 and state pension age. Whilst this takes effect in 2012 for larger firms there will be a phased approach for smaller firms, with all employers having to contribute by 2017. Currently many small employers do not provide a pension scheme for all their employees therefore many are expected to make use of the “National Employment Savings Trust” NEST which is a government run pension scheme. NEST is a scheme which intends to provide a low cost, low charge solution. As an employee under the scheme from 2017 you will be required to pay 4% of your salary into the pension fund with your employer contributing 3% of your salary. As an employer regardless of your business size, you will be required to automatically enrol ALL eligible staff into a pension scheme unless they opt out. You will also be required to contribute 3% of each employee’s salary to their pension fund. For more information on how to plan for the Compulsory Pension Contributions, contact us here at M.B. McGrady& Co.